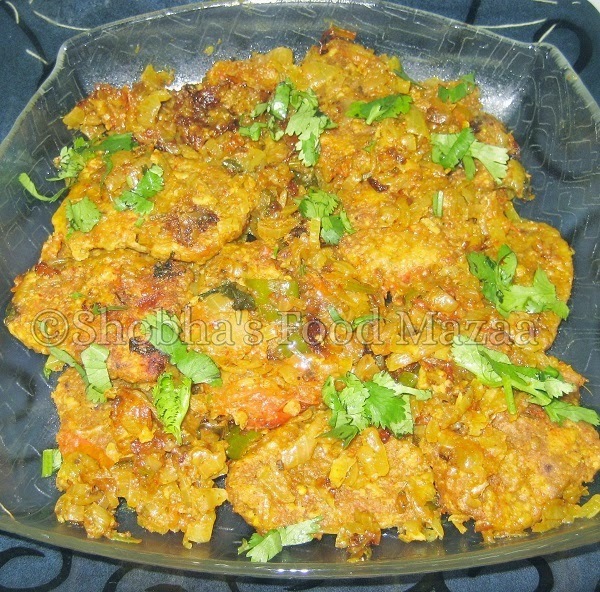 This is a traditional Sindhi recipe. The aanis are made with besan and spices quite similar to Rajasthani gattas and are cooked with onion masala and spices. They are served with rotis. 1. Mix all the above mentioned ingredients for aanis in a bowl, including oil. Now add some water and mix into a dough. ( add with a spoon so that you dont add too much to make it sticky)As you mix the dough, it starts becoming hard and sticks to the bowl. 2. Spread 2 to 3 drops of oil on a flat surface. Put the dough on it and roll it into a cylinder. Flatten it with your palm and cut rectangles out of it. 3.Heat water in a pan and add 1/2 tsp turmeric powder. Add the aanis into it and boil them for 5 minutes. Remove & strain them. Let them dry. 4. Heat oil & fry the boiled aanis for 3 to 4 minutes. 1. Heat 3 to 4 tbsp oil. Add the onions, green chillies, salt, turmeric powder,red chilli powder, coriander powder, tomatoes. Mix & cook on low flame till tomatoes become tender. 2.Now add garam masala, the fried aanis and sprinke a little water over the aanis to cook on low flame for 5-7 minutes.Turn them carefully once. Garnish with coriander leaves. Thanks for the sweet compliment and blessings Dolly. 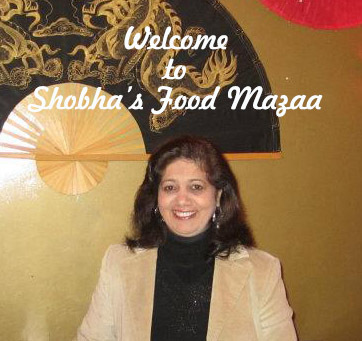 very different dear.. would love to try it..
lovely curry there, Sobha ! thanks for linking ! What an incredibly delicious way to use besan. I will try this soon. Thanks for linking. What an interesting recipe. Chick pea can be so versatile. This reminds me a bit of the dall dhokli we make. I love all the spices you add to it once you have cooked the aani. Thank you dear Mina.. It is indeed very delicious. This besan ki bhaji can save your day when there are no fresh vegetables available due to extreme weather. Simple yet flavourful. True Jagruti.. it can be enjoyed with garma garam rotis. Looks delicious n sounds yummy. What a delicious curry and something I didn't knew about at all. Though it is very similar to the gatta curry, it is slightly different in terms of process, consistency, masalas etc. Loved the recipe and this dish both. I am glad it is not deep fried and steamed version so I can simply go ahead and try it. Thank you so much. Thanks for liking it Vidya.. do try it out and let me know how you liked it. This looks a little bit like thae gatte ke sabji I ate in Rajasthan. It certainly looks very tasty. Yes, it is quite similar to gatte ki sabzi. I once tried a similar recipe called besan katali when I was young, back in school days. This posr reminds me of that dish. Lokks delicious.